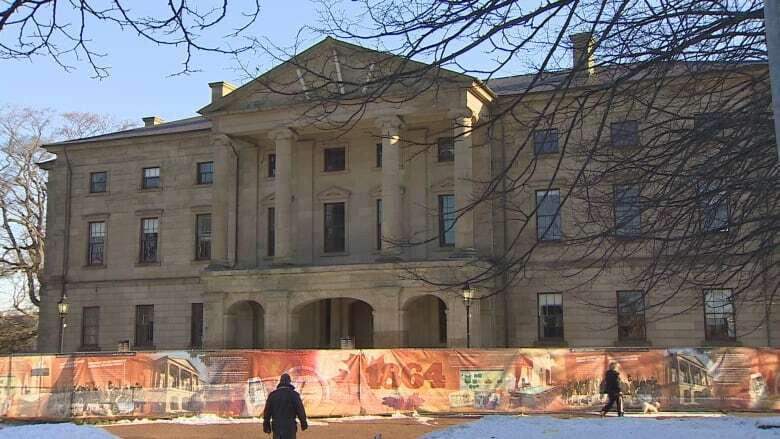 Another $6 million has been committed to renovations at the Province House National Historic Site in Charlottetown. The additional funding will be used to comply with fire code and accessibility issues while still maintaining the historic elements of the landmark. The total infrastructure funding for Province House is now $47 million. "As we celebrate the 150th anniversary of Confederation, the Government of Canada is proud to invest in the protection and conservation of Province House," said Cardigan MP Lawrence MacAulay. Quinan Construction Ltd of Orillia, Ont. was awarded the tender for the first phase of construction and work began April 27 and will continue until December with the help of local subcontractors. The work included in the ​$8.7 million contract will see the finishing removed from interior walls of the building and from the outer walls extending five feet inside of each room. This work will give contractors access to the exterior sandstone walls. All the mechanical and electrical systems, as well as all exterior doors and windows, will be removed. The building's foundation will be dug out and replaced under the north and south porticos, and a steel scaffold will be erected around the entire structure. The work will allow the contractor to properly stabilize the building. The tender for the second phase of work will soon be awarded.